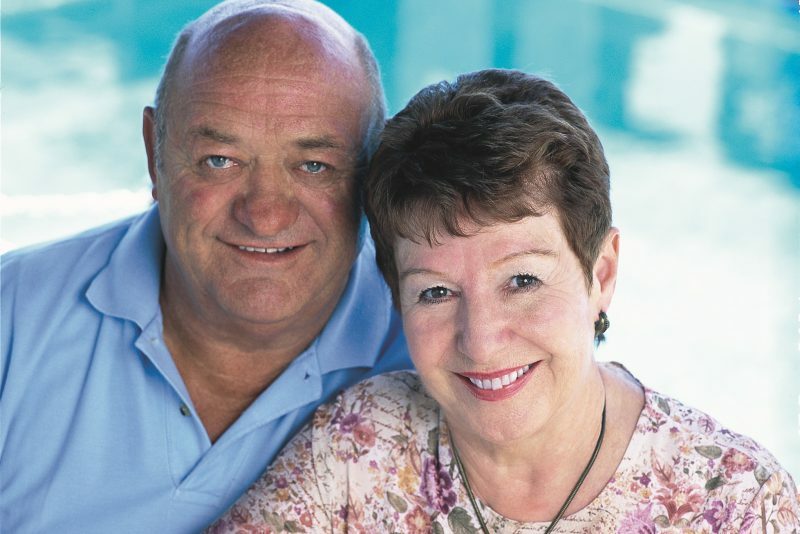 It was a random fundraising phone call from Royal Columbian Hospital Foundation that brought Diane Les and her husband Ed into the lives of thousands of others. Since that first call some 16 years ago, with a simple request for a $20 donation, the couple’s unassuming generosity has greatly advanced the care provided to a multitude of patients from across the region. Diane Les with her husband Ed. Theirs is a love story with a nurturing side. This is evident not only in their thoughtful philanthropy, but also in a marriage that flourished for more than half a century and in the business they founded and grew over a number of decades. And what better business than gardening, where careful nurturing reaps rewards? Diane and Ed’s story began at Buckerfield’s, a garden supply business where in 1957 she was a secretary and he handled packaging and mailing. Ed showed an interest, while Diane was coy. “’I’m married,” Ed recalls Diane saying when they first met. “With three kids.” Ed had to find the truth from someone else in the office. She was pulling his leg. It became the truth however, as Diane and Ed married within three years of their first date and started a family that grew to three children. They also launched their own business. They took the first two letters from their names to create Eddi’s Wholesale Garden Supplies, a distribution company that initially was run from their home and has successfully grown to employ close to 40 people. From the family’s backyard in Coquitlam, you can clearly see Royal Columbian. On the day the Foundation called, Ed answered. “I need to do something better than that,” he recalls about being asked for $20 to support the hospital. With Crohn’s and colitis in the family, they became interested in the hospital’s need for new scopes. “They’re going to need them. Let’s buy them,” Diane told her husband. Gastroenterologist Dr. Ken Atkinson says the couple’s gift came as his department was looking to expand its services. The donation became the first of many substantial gifts made to Royal Columbian Hospital Foundation by the humble couple over the next 15 years. In addition to gastroenterology, they have helped make significant purchases for interventional radiology and cardiology. Ed says his wife was generous in nature and pleased to be able to support the hospital. “She felt terrific over it. We had the money, so why not? She was good-hearted,” says Ed. Sadly, Diane was diagnosed with cancer in the summer of 2014 after going to Royal Columbian early one morning, in pain. She passed away on February 10, 2015. “Diane lived her life with passion, warmth and a great sense of humour. She touched so many lives and will be dearly missed by all who knew her,” read her obituary. This is certainly the case at Royal Columbian, where the lives of thousands of people have been made better through the humble support of the Les family.